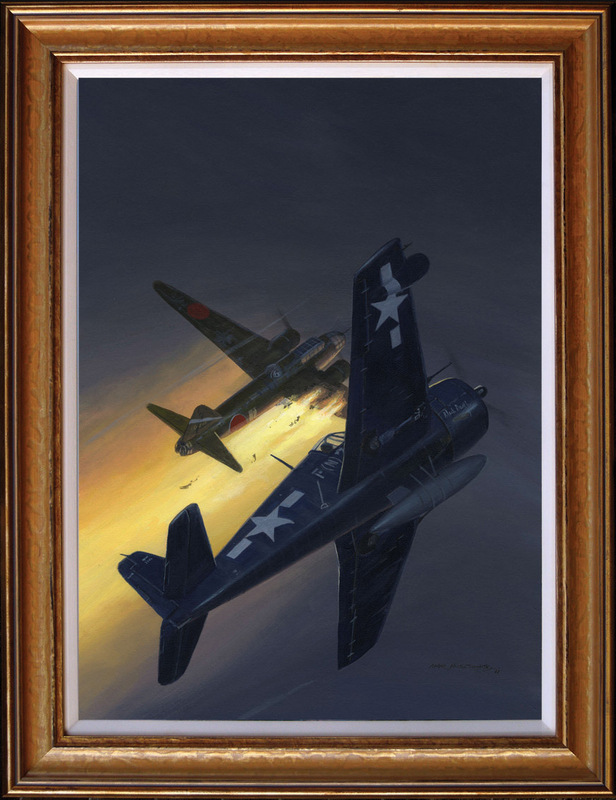 Major R Bruce Porter of VMF(N)-542 in his F6F-5N Hellcat shoots down a G4M Betty on the night of 15th June 1945 off Okinawa. Night Fighter Aces of WWII book. visible in the varnish, hence the reduced price.